All comments on RC Catalyst are the responsibility of the commenter, not the blog owner, administrator, contributor, editor, or publisher. 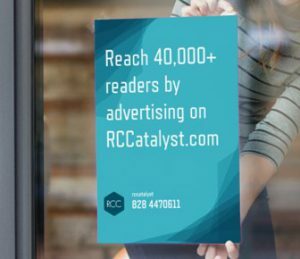 Rccatalyst.com gathers identifying information about individuals only when individuals provide that information on a voluntary basis such as on our reader reaction forums, for our SMS and email alerts, and in our secure ecommerce store. RCC does not collect any information about any child under the age of 18. RCC may utilize “cookie” technology in connection with polls on the Sites. No information should be submitted to or posted at our sites by persons under 13 years of age. RCC does not knowingly collect personal information from children under the age of 13 and does not sell such information. If we discover that we have received any information from a child under 13 in violation of this policy, we will delete that information immediately. If you believe RCC has any information from or about anyone under the age of 13, please contact us immediately at the address listed below. It is not the policy of RC Catalyst to sell or make available such information to unrelated third parties; occasionally such information may be shared with other divisions of Rccatalyst.com. We may inform advertisers of the results of such analyses. And under any circumstance, Rccatalyst.com will refer only to general, aggregate usage data from these analyses – never specific identifying information. Rccatalyst.com performs statistical analyses of its server logs to study the use and popularity of various areas of our site. We also look at IP addresses to analyze where we are getting our audience. Users should keep in mind that, when posting their user name or e-mail address on bulletin boards or in other user-posted content areas, that information, along with any information in their postings, can be read by any third parties and may result in unsolicited messages from other posters or third parties. Rccatalyst.com has no control over that. Rccatalyst.com may make use of or refer to user-posted content for the purposes of promotion of Rccatalyst.com. This will mainly involve taking screen shots of a particular area of the site and using that screen shot as a graphic in an advertisement. Rccatalyst.com makes no claim of ownership to such user-posted content. Rccatalyst.com employs ‘cookies’ in circumstances that require session data or require user verification. Most of our services include information on how to remove your information and cancel the service. You may alternatively send us an email at editor@Rccatalyst.com requesting the services and information you would like removed. Rccatalyst.com reserves the right to change this policy at any time. The effective date of this policy shall be reflected by the updated date at the top of this page. Rccatalyst.com may ban any user, delete any post or take any action with regard to its Web sites related to user submitted content. Your posting of content and your thoughts on Rccatalyst.com automatically gives Rccatalyst.com a royalty-free, perpetual, irrevocable, worldwide, non-exclusive right and license to use, reproduce, modify, adapt, publish, translate, create derivative works from, distribute, disseminate, perform, transmit and display such content (in whole or part) and/or to incorporate it in other works in any form, media, or technology now known or later developed for the full term of any rights that may exist in such content. If you are not the owner of such content, you shall be deemed to have warranted that the owner of the content has expressly granted to you a similar license.